As a fellowship trained spine surgeon, Dr. Aguwa specializes in the surgical treatment of multiple spinal disorders, including but not limited to degenerative (disc herniation, degenerative disc disease, stenosis), deformity (scoliosis, kyphosis, flat-back), metabolic (osteoporosis), fractures, microsurgery, navigation assisted surgery, and minimally invasive surgery of the cervical, thoracic, and lumbar spine. During surgery, Dr. Aguwa employs spinal cord monitoring techniques and a microscope to facilitate safety and accuracy. His goal is to accurately identify the pain source so that surgery is successful in alleviating the symptoms. Dr. Aguwa was educated at Princeton University and the Case Western Reserve University School of Medicine. 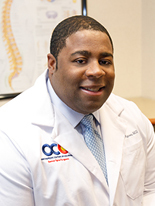 After completing his residency at the Oakland University William Beaumont School of Medicine, Dr. Aguwa completed a complex spinal and scoliosis surgery fellowship at the Hospital for Special Surgery/Weill Cornell Medical College in New York City, the #1 Orthopaedic Hospital in the United States, under Dr. Todd J. Albert and Dr. Frank J. Schwab. His professional memberships include the North American Spine Society and the American Academy of Orthopedic Surgeons. 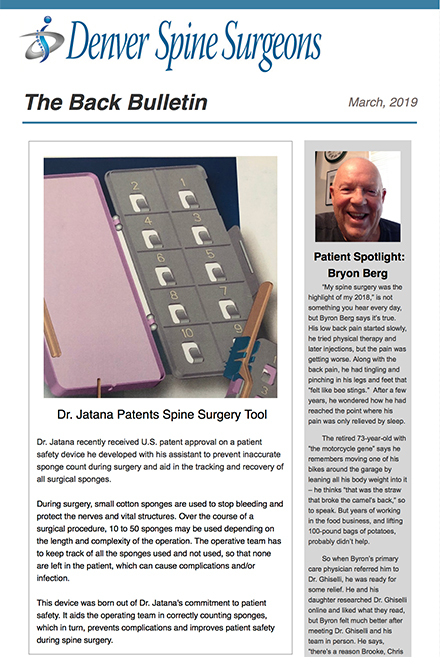 Dr. Aguwa believes that each patient deserves a unique approach to managing their spine health and he utilizes the least invasive techniques as possible.